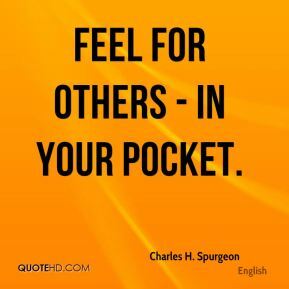 Feel for others - in your pocket. 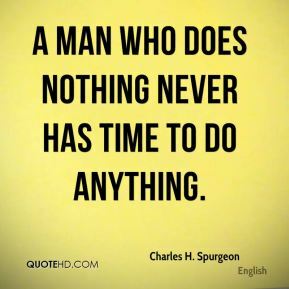 A man who does nothing never has time to do anything. 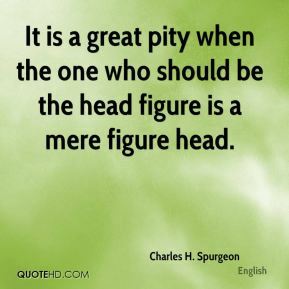 It is a great pity when the one who should be the head figure is a mere figure head. 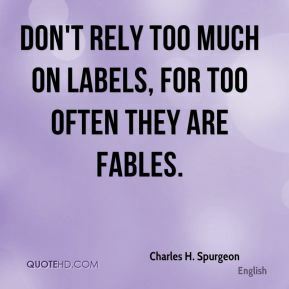 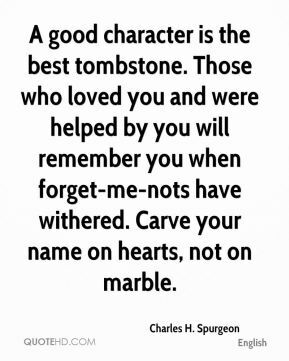 Don't rely too much on labels, for too often they are fables. 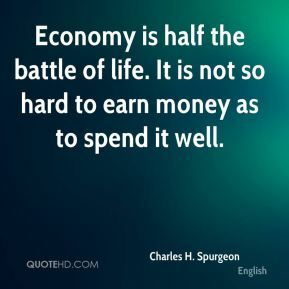 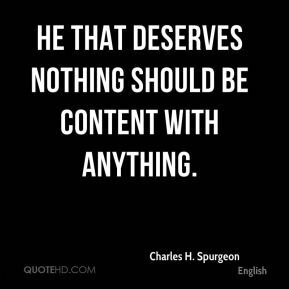 He that deserves nothing should be content with anything. 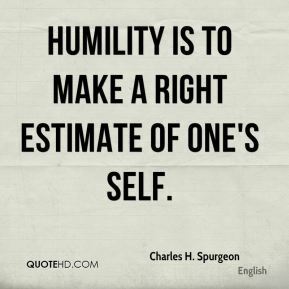 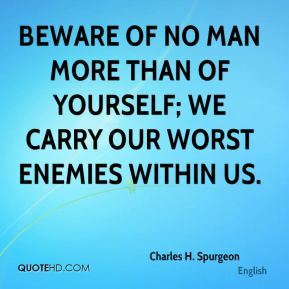 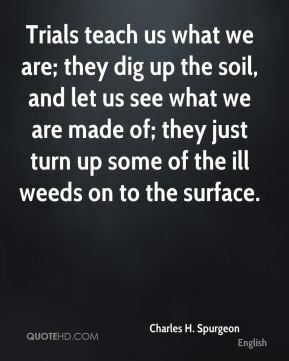 Do you think yourself wise? 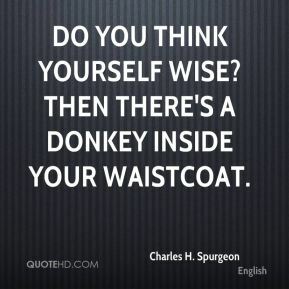 Then there's a donkey inside your waistcoat. 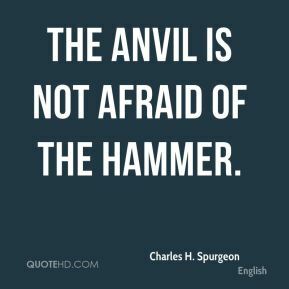 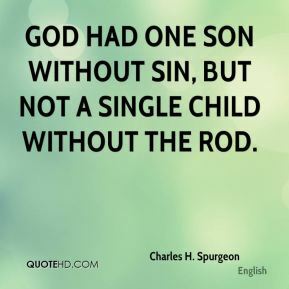 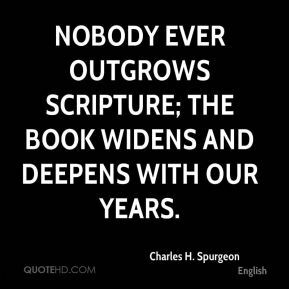 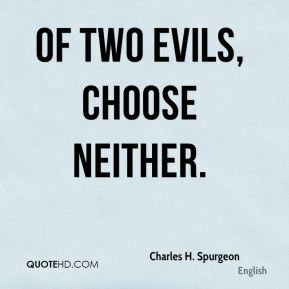 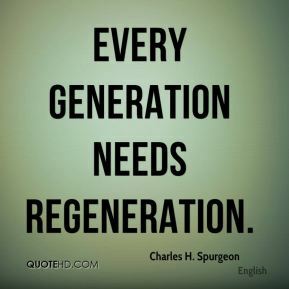 God had one Son without sin, but not a single child without the rod. 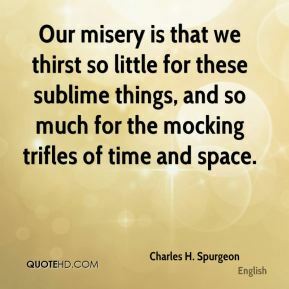 Our misery is that we thirst so little for these sublime things, and so much for the mocking trifles of time and space. 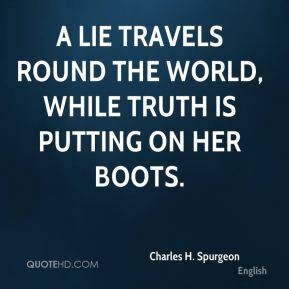 A lie travels round the world, while Truth is putting on her boots. 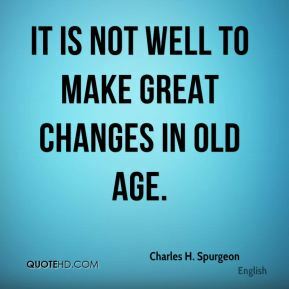 It is not well to make great changes in old age. 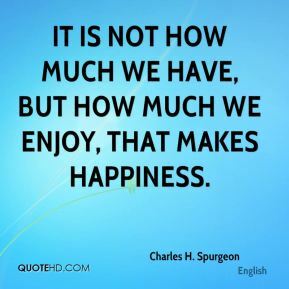 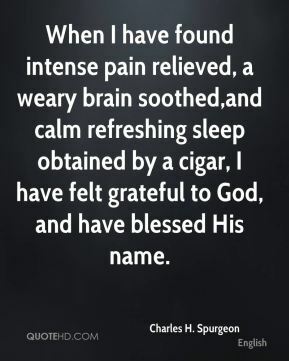 When I have found intense pain relieved, a weary brain soothed,and calm refreshing sleep obtained by a cigar, I have felt grateful to God, and have blessed His name. 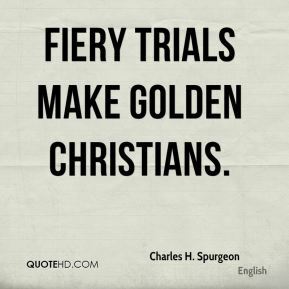 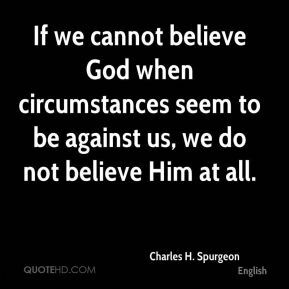 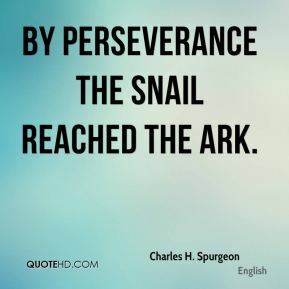 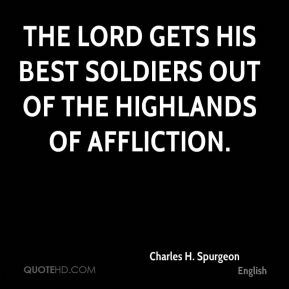 If we cannot believe God when circumstances seem to be against us, we do not believe Him at all.